Development on e-commerce cart of choice including Magento,OpenCart, Woocommerce & Prestashop, Joomla, VirtueMart. Create your Earring and Pendent. 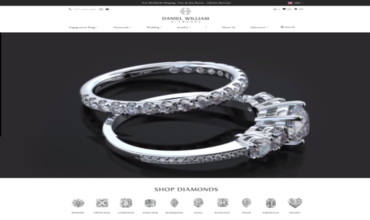 Jewellery website created with HD videos for a US-based jewellery firm. Rapnet Instant Inventory API integration. 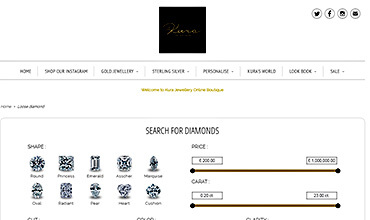 Gemstone Jewelry e-commerce website created on Opencart 2.x for a Bangkok Thailand based jewellery house. 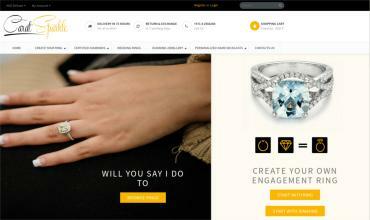 Imagine Diamonds a full fledged Jewelry site built on Magento Enterprise Version for New York based client. 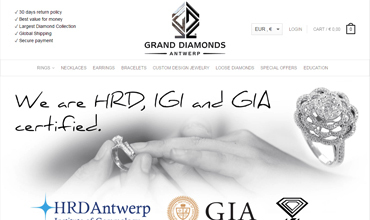 Leading Jewelry and Diamond e-commerce store based in Houston USA. 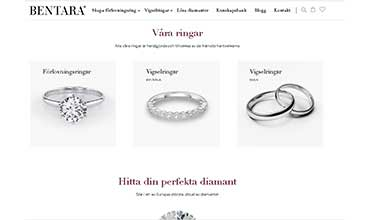 Store developed on Magento with responsive design. 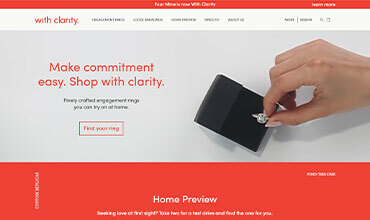 How much would it cost me to develop a jewelry e-commerce site ? Only Rapnet or IDEXonline integration start from $1500 Full website design starts from $5000, However, each quote is made on the case to case basis depending on what all feature you require. But the other guy on elance /odesk/freelancer is charging much less. If cost is your only criterion for selection we may not be your first choice. Our emphasis are on quality and support. After all good things don't come cheap. We are established and Experts. 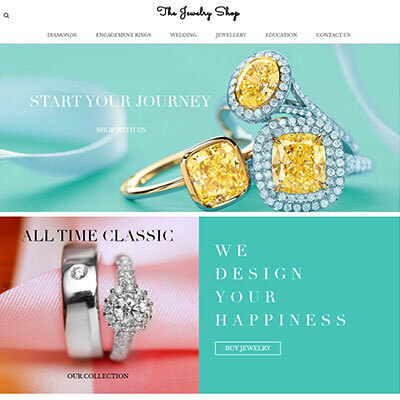 Which is the most suitable platform for jewelry web-site development? We suggest Opencart However if you are comfortable with Magento, Woocommerce or Prestashop we are fine with it. 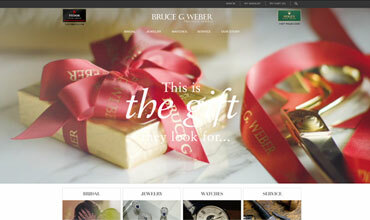 Any platforms with well written code and intuitive responsive design will give you a great web-site. We provide 1 year post deployment support free of cost on coding done by us. If any new features or escalations we charge reasonably. We develop the sites with search engine friendly structure. Further you need to work on quality content building and social media presence. E-mail , Skype , Phone and If you happen to visit India you are welcome to our office. Would you provide us full source code? Yes, will provide you the full source code for back-up. 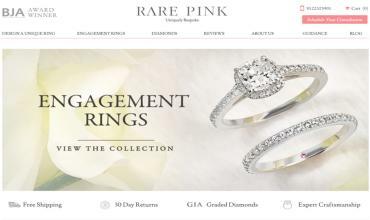 Jewelry e-commerce is competitive. Only top quality websites with secured payment gateway will convert.